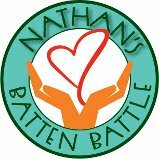 Nathan's Batten Battle – Our 14 year old son has been diagnosed with Juvenille Batten disease. This is a very rare neurodegenerative disorder that is fatal. This is our journey. December 31, 2018 December 31, 2018 So That He Can SeeLeave a Comment on Construction is done! October 15, 2018 October 15, 2018 So That He Can See8 Comments on Update and news! !